Russell has been interested in weather every since he can remember. In middle school, Russell met with WRGB Chief Meteorologist Steve Lapointe, for a class project. He was always interested in storms, recording his first thunderstorm in the summer of 1998 on an old VHS Camcorder. When a storm comes rolling in, Russell is already watching it on doppler radar, planning to record it, and about to head out into it. 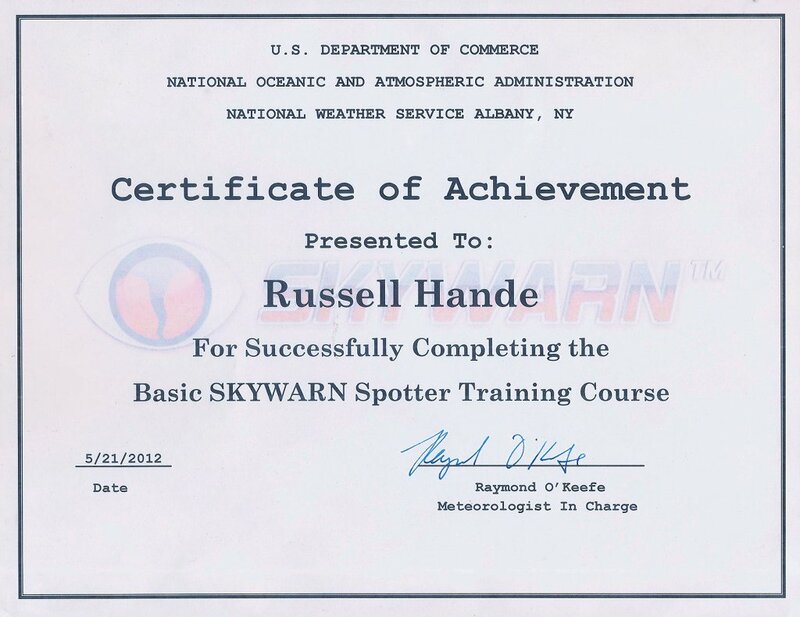 On May 21st, 2012, Russell completed the Basic Skywarn Training Course.